Actually there is more than one. Frequently NOSSA receives a request to identify an orchid in someone’s garden. Often, instead of an orchid (but occasionally there are orchids), it is the Ariasrum vulgare (common name Friar’s Cowl Lily or Cobra Lily). 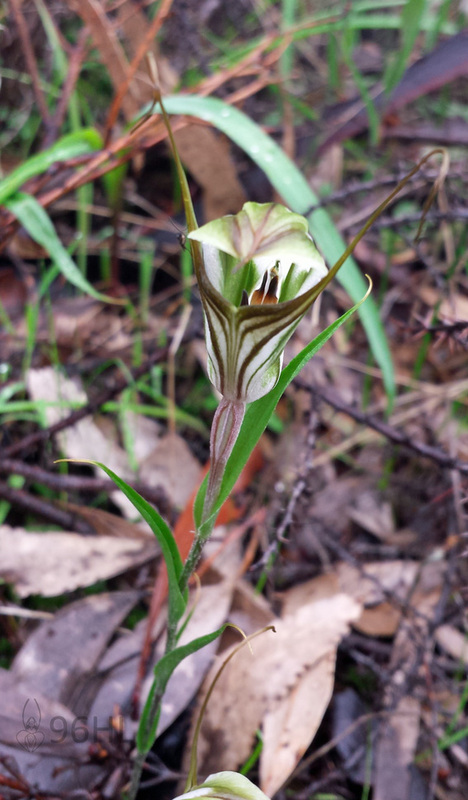 Native to Asia and Europe, notably the Mediterranean and introduced to Australia, it is often mistaken for one of the flowers of the Pterostylis (Greenhood Orchids) or Diplodium (Shell Orchids). Some have called it a Blackhood orchid others Snake Orchid. 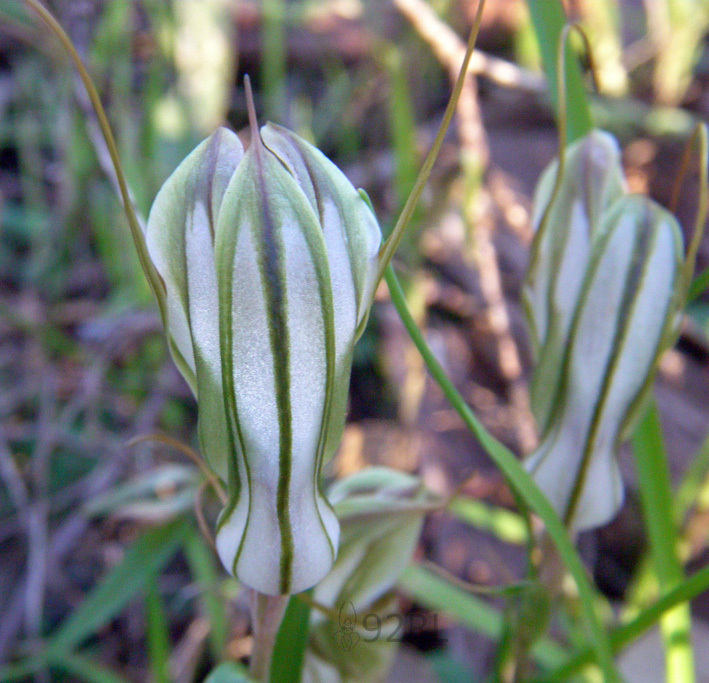 It’s resemblance to the Greenhoods and Shell Orchids is superficial as they have none of the orchid features. 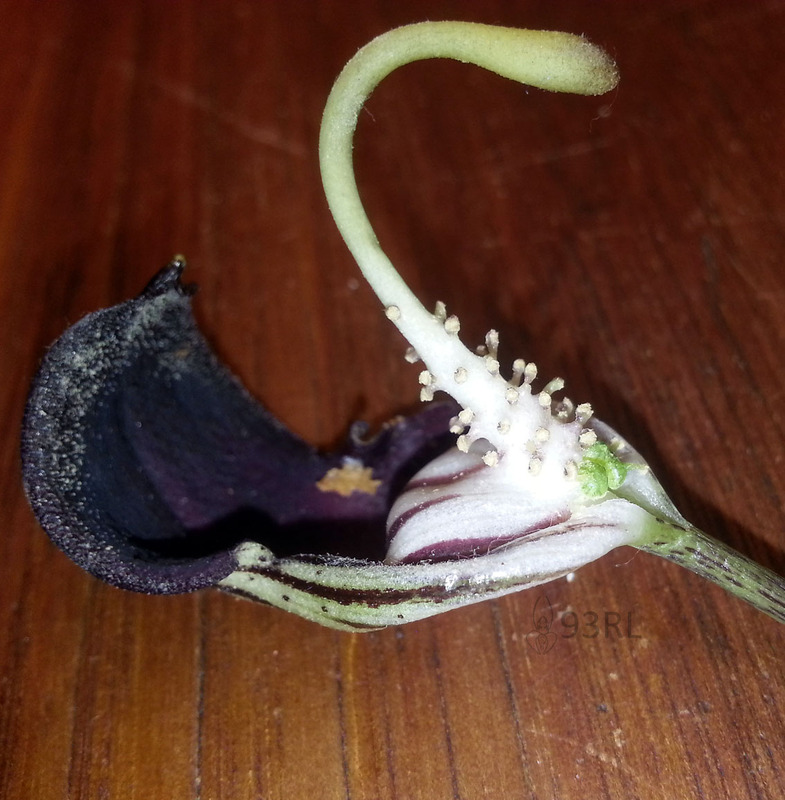 The dark purple hooded part is not the flower; it is a spathe (bract). The flowers are minute hidden on deep down on the “tongue”. The hood of the orchids is the combination of a deeply concave dorsal sepal interlocking with the lateral petals; and the fusing of the two lateral sepals. Tucked away within the hood is the labellum (a modified petal) and the column (the reproductive organs of the flower). The leaves of Ariasrum are quite large and distinctly different from any of the Greenhood orchids. 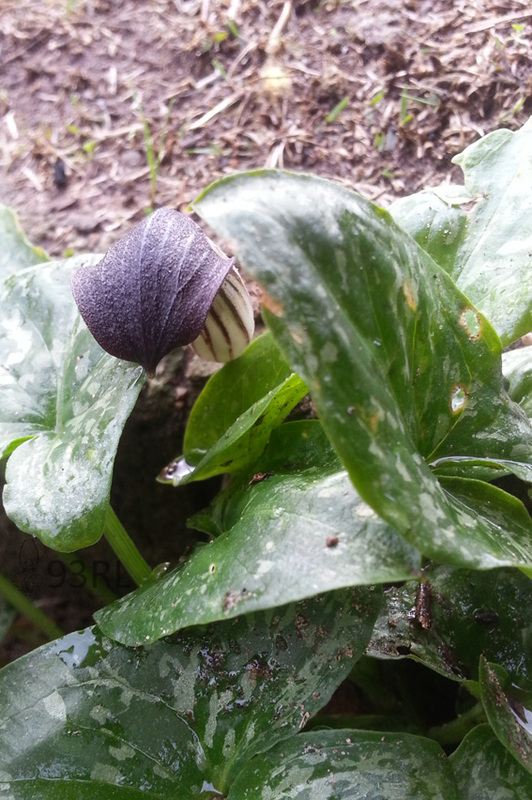 The bract of the Arisarum vulgare has been split open to reveal the knobs which are the flowers. The flowers are so small a hand lens or microscope is needed to see them. 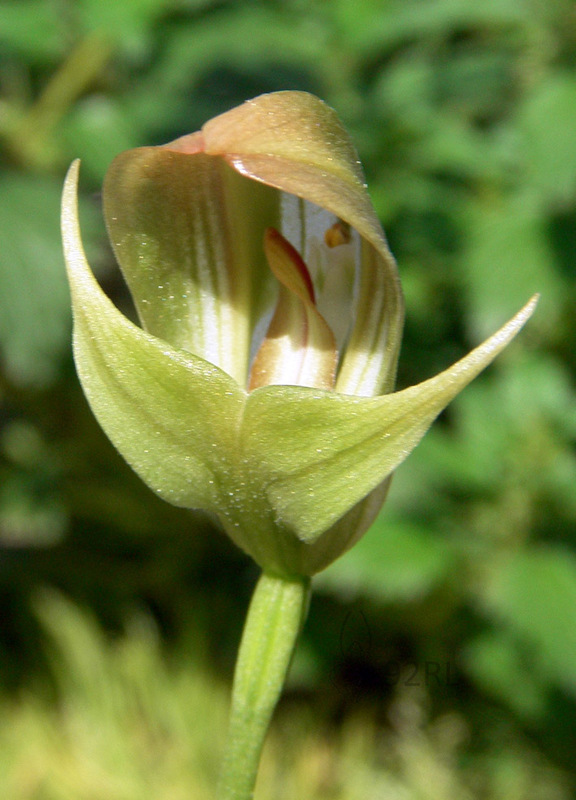 This entry was posted in Orchid Identification and tagged Ariasrum vulgare, Australian orchids, Black Orchid, Cobra Lily, Diplodium, Diplodium robustum, Friar's Cowl Lily, Greenhoods, Lily, Maroonhood, orchids, Pterostylis, Pterostylis pedunculata, Shell Orchid, Snake Orchid, Wild orchids. Bookmark the permalink.